If only you could survey the mind of the MBA Admissions Officers who inspect your application! Not to worry: this post from our friends at Accepted.com comes very close, so read up on what the Adcoms are thinking about your GPA. So wail MBA applicants who fear their applications will be doomed by a poor undergraduate GPA. Behind every GPA is a story. Often it’s a story that arouses frustration, confusion, uncertainty, and even anguish on the part of applicants. Undergrad GPA is important, to understate things. BUT adcoms view your GPA (like the rest of the application) holistically. Not just low GPAs, but all GPAs. What does that mean exactly? First, no matter how well or how poorly your GPA represents your actual ability, the adcom will consider it and take note of it in reviewing your application. You cannot, by convincing explanations or subsequent courses, erase a low undergrad GPA from adcom consideration. You can at most mitigate it, sometimes substantially. Second, the adcom will examine the context of the GPA. They can see some aspects of that context automatically (like rigor of courses and school) but not others unless you tell them (like pneumonia in sophomore year), usually in an optional essay. They will see whether the GPA trends up (good) or down (a problem that might need explaining), they will see from elsewhere in your application whether you were working during school and/or participated in a lot of activities, etc. They will draw some conclusions from this contextual review. For example, if you worked, they’ll probably assume you had to, and so will be less likely to hold against you time management challenges that weren’t necessarily your choice. If, like some of my amazing clients, you started college in the US barely knowing English and struggled for a year or two until your passion and ambition propelled you to the dean’s list, that’s a story to tell in the optional essay – you can’t assume the adcom will know you overcame rudimentary language skills. 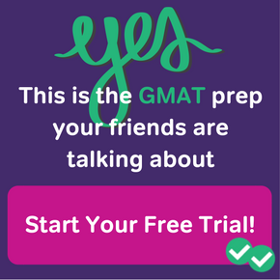 If they see lots of activities, they’ll note the positive aspects (sociable, contributor) and the possible negative aspects if your GPA was low (less than great time management and prioritizing). Trending up – probably a kid still growing up; most likely the last two years are more representative. They’ll also note things like change of academic focus (he really improved once he switched his major from physics to East Asian Studies). Part of your job in writing your application is to anticipate and envision the context the adcom sees for your GPA and fill in gaps. For example, if an overabundance of activities undermined your grades, you can show in your essays how you subsequently learned to better manage your time while maintaining your vibrant community involvement. Moreover, good GPAs are not just given “check OK” from the adcom. They actually review your transcript. An otherwise strong GPA that has one C in your only quant course could raise an eyebrow. So could a GPA that starts very strong and trends down – even if it’s solid in aggregate. 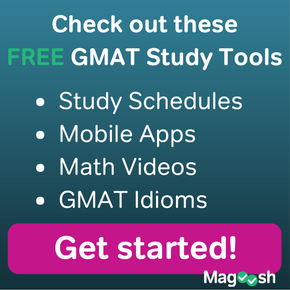 Post-undergrad efforts also shape the context of your undergrad GPA. 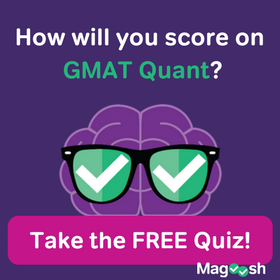 A strong GMAT, demanding professional certifications, an “alternate transcript” of courses to demonstrate academic capability and counter a low undergrad GPA, and/or a strong grad school GPA all will help to mitigate a low GMAT – but, again, they will not erase it from your profile. They will have other positive impacts though, such as showing commitment and maturity. The adcoms’ use of context in evaluating GPA means ultimately there is no one formula applied. It’s nuanced, unique to the candidate, and qualitative. Try to see your GPA in their eyes to determine (a) do you need to provide context for your performance, (b) should you take steps to mitigate the GPA like additional courses, and (c) does your GPA in its holistic context enhance your candidacy at a given school. By Cindy Tokumitsu, co-author of The Finance Professional’s Guide to MBA Admissions Success, and author of numerous ebooks, articles, and special reports.